Brenda Lesley Mattingly [formerly Chandler] passed away peacefully at home in the town of St. George following a courageous battle with cancer. Brenda was a loving wife to a devoted husband Jamie; a cherished mother to Samantha Morrell [Ian] and Ashley Kreuzer [Ryan]; a caring step-mother to Harley and Fae Sapsford; a beloved Gigi to Matthew, Emma, Isla and Adelaide; an admiring sister to Sandie Hughes [Mike]; and a friend to many. The youngest daughter of John and Elsa Mattingly Brenda was born in Sydney, Australia, raised in Singapore and the UK, and graduated from the University of Sussex. 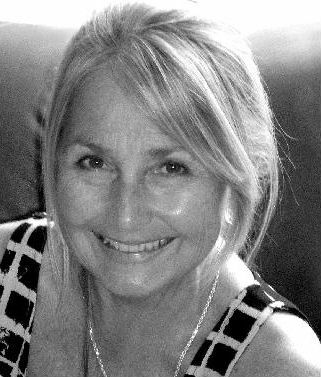 Brenda was a dedicated and passionate Geography teacher for nine years at Prospect Secondary School for Girls [PSG] and for thirty years at the Bermuda High School [BHS]. She made a positive impact in the lives of many students, not only nurturing a love for and a greater knowledge of Geography, but also instilling a sense of self worth, compassion, and confidence in all those she taught. Brenda also touched the lives of many people outside the classroom, with her beauty, her support, and her friendship. All those wishing to remember Brenda and honour her legacy are welcome to join us for a memorial service on Sunday 8th January 2017. Please visit http://tinyurl.com/bmattingly to RSVP and for memorial service arrangements. Colours may be worn. The family would like to express heartfelt gratitude to all the staff of the Oncology Ward at KEMH, Dr. Sharon Alikhani, Millicent Whitter, and all at PALS for their exceptional care and unconditional dedication to service. In lieu of flowers, memorial donations may be made to The Brenda Mattingly Educational Award for Geography c/o BHS 19 Richmond Road, Pembroke HM08. Telephone 278-3040. Email advancement@bhs.bm.